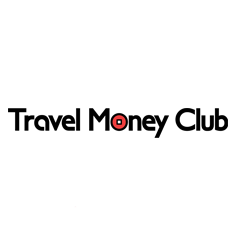 Travel Money Club (TMC) is a currency exchange fintech which aims to revolutionise the buying and organising of travel money. Aimed at frequent travellers, the website offers subscribers preferential currency exchange rates to those offered on the high street as well as a next-day delivery service. Their forward order service allows members to automatically buy any currency when it reaches their desired exchange rate. Following a live pilot phase, these services are being made generally available via a mobile app and website. The company has ambitious growth plans, aiming to onboard 20,000 new members in the first year, and exchange over £35 million through approximately 35,000 transactions. In the second year, the company plans to add a further 40,000 members, exchanging over £300 million through 250,000 transactions. Travel Money Club’s growing status as a key disruptor in the currency exchange market meant that the company needed a hosting environment that could comfortably accommodate these ambitious, rapid growth targets and seasonal web traffic driven by holiday times. Simultaneously, the chosen environment needed to be able to meet the highest standards of security and reliability, in accordance with FCA regulations. We needed to work alongside a company that had deep expertise in cloud and could tailor this knowledge to our requirements. Travel Money Club isn’t FCA-regulated and not registered with HMRC, but our partners must be, as they’re the ones dealing with the finance aspect. “As our partners are regulated for electronic payments and as a money service business for HMRC, the onus is on them to explain to auditors where and how their currency is exchanged. Therefore, we must follow the best practice guidelines issued by both the FCA and HMRC in terms of how we transact. One of those requirements is to demonstrate that we have UK data sovereignty, which we initially believed public cloud couldn’t offer us. TMC set about finding a hosting partner and enlisted the help of Claranet once it became clear that a bespoke public cloud approach could easily meet its data sovereignty and data security requirement. Public cloud also offered the potential to enable scalability and elasticity in a way that private cloud environments could not. Claranet took the time to fully understand the company’s requirements, utilising their extensive application proficiency to devise the solution and migrate to AWS, a service to which Claranet is a Premier Consulting Partner. As a Partner, Claranet are officially recommended by AWS to implement and work with their cloud-based solution, having demonstrated considerable expertise and reliability in this field. Martin continued: “For us, the difference between public and private cloud is to do with elasticity. With private cloud, there is manual intervention required to predict those changes in demand, and to expand the platform as these changes happen. Although private cloud can be scaled up or down without too many issues, we couldn’t do it quite as dynamically as we would have liked. As a start-up with a small team that has to move fast, we don’t have the expertise or the time to deal with all aspects of IT infrastructure. Claranet’s ability to meet our requirements was something only they could offer, as they had the most responsive platform, and that is incredibly important to us. The level of proficiency that Claranet offered, alongside their knowledge of AWS, not only allowed us to achieve our aims, but exceed our expectations in what we thought was possible with the cloud. This made choosing Claranet an easy decision. One of the most important and immediate benefits of Claranet’s work has been to enable the Travel Money Club servers to cope with an increase in demand much more dynamically than before. Furthermore, after paying for the initial set-up of the Claranet solution, the ongoing running costs were far lower than expected. Martin commented: “Claranet were able to come in and in a short space of time, they fully understood the business, its goals and the speed at which we wished to progress. In terms of the value we got, I believe we received much more than we paid for in terms of service and customer care. We’ve saved a considerable amount on staff costs because of the level of automation the solution has brought, as the solution effectively means Claranet can act as our CIS admin, and run admin tasks on all of our platforms.